Healthcare is changing and physicians and hospital systems must quickly adapt in order to remain solvent in these challenging economic times. No longer is it adequate to be the best clinician, best surgeon or the most brilliant diagnostician. Now, more than ever, physicians must have a thorough understanding of business and economics. Many practicing physicians are finding out that entrepreneurial thinking and a shrewd business approach to everyday medicine is the answer to improving patient care all while preserving the bottom line of the hospital or practice. Recently, the University of Indiana began offering an Business of Medicine MBA program to practicing physicians. This program is quite unique in that it is specifically designed for clinicians who are in practice and want to return to school without interfering with their “day job”. Many medical schools and business schools are now offering combined degrees to medical students already and these are becoming more popular. At Wake Forest University where I went to medical school, a combined MD-MBA was offered back in the 1990s. However, the Indiana program for practicing physicians is the first of its kind. Accounting for the busy schedule of a practicing physician, the program combines both online course work with “resident weekends” where classroom interaction and group work are facilitated. The program’s first class will begin in September 2013 and will be a two year journey. The program will focus on some of the traditional MBA topics but will have an emphasis on several healthcare themes including collaboration, innovation, analytics, transformation, optimization and sustainability. The goal of the degree program is to produce a new type of physician executive who is able to provide leadership and guidance in this volatile time of healthcare reform. At the University of North Carolina at Chapel Hill, my division chief and “business of medicine” mentor Dr Cam Patterson has been instrumental in the growth of the Cardiovascular Center through his physician executive leadership. As a new incoming division chief several years ago, Dr Patterson realized the importance of business training in managing a large system such as that at UNC. He enrolled in the MBA program at our institution and through his studies there was able to discover his remarkable talent for physician-executive leadership and entrepreurial thinking. Although he inherited a division in need of significant overhaul, Dr Patterson was able to quickly build what has become a financially sound heart center that continues to serve the people of the state of North Carolina. As we continue to move into uncharted waters in healthcare reform, it is essential that we continue to prepare ourselves to respond to the economic and administrative challenges that are looming on the horizon. Examples such as Dr Patterson provide insight into the importance of having a more in depth understanding of the business of medicine. Business of Medicine MBA programs such as the one being pioneered at the University of Indiana are essential to the success of physicians going forward into the coming years. Certainly it is important to train young medical students in business and provide opportunity for combined degree programs. However, the current physician workforce must also evolve in order to remain in a position to provide excellent patient care and remain financially sound. Programs that focus on the working physician will allow for continued production in practice while learning skills that will be essential to success in the future. Combining online coursework with weekend “MBA residencies” allows for both professional interaction and more productive learning among Physician-students. Now, more than ever, the business of medicine has become as important as a thorough understanding of human anatomy. We must all prepare ourselves to become the physician executives. Physicians, rather than politicians, must lead the way in healthcare reform and Business of Medicine MBA training may help more physicians obtain a seat at the negotiating table in Washington as reform continues to evolve. 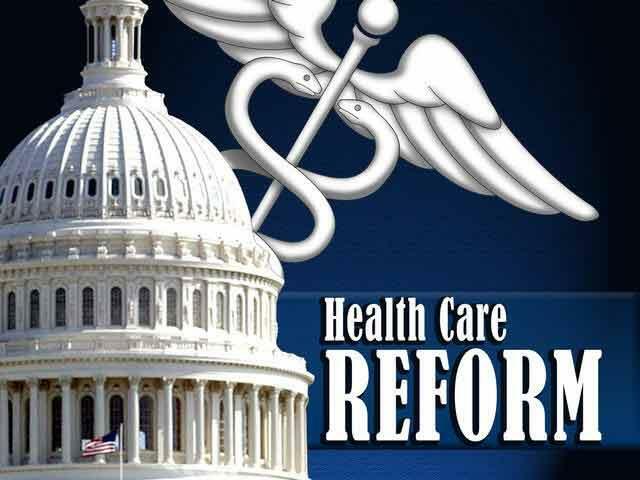 Much debate remains around the concept of healthcare reform in the US today. Almost all of us agree that our current system is broken and in need of an overhaul. However, there are trends in the healthcare market that are increasingly troubling. Due to changes in reimbursement, demands for Electronic Medical Records, documentation changes related to ICD-10 coding requirements and federally mandated quality measures, physicians can no longer afford to remain independent. All of these changes require more work and additional office personnel. Based on projections made by healthcare analysts, over 90% of cardiology practices will have “integrated” or assimilated (reference the Borg from Star Trek) with hospital systems by the year 2016. Overall, it is estimated that over 50% of all types of physician practices will be hospital owned in the next year. The loss of the traditional physician owned private practice will forever change the medical marketplace. As a medical resident, we were always taught that the work day was done, when all the work was done–that translated into long hours and little rest. These residency work habits follow most physicians into practice and rarely do physicians have regular work hours. It is not uncommon to start before dawn and complete chart work and dictation late into the night. If market trends continue along the path of integration and assimilation of individual practices by hospital systems we are going to begin to develop a very different culture of healthcare delivery where physicians may ultimately become hourly employees who “clock in and clock out” at the end of a shift. A recent article published in the Wall Street Journal examines the idea of Doctors who “clock in and clock out” as hospital employees rather than small business owners. This opinion piece ,written by Scott Gottlieb, is quite sobering. Mr Gottlieb correctly highlights some of the issues associated with doctors as employees. First of all, the acquisition of practices and physicians by hospital systems is often based on competitive advantage and market share increases in a particular area rather than on providing the best quality care. Hospital systems leverage facilities, salaries and some cleverly push competitors out of the market by creating monopolies of care. However, a larger problem is that there are some data that suggest that when doctors are employed by hospital systems, productivity actually declines. When in practice and financially invested in the success of one’s own practice or organization, physicians tend to work longer hours and squeeze in more procedures, office visits and phone calls. However, when physicians become employees, productivity decreases. There are many reasons for the decreased productivity including the way in which physician work is actually measured and calculated by hospitals (based on medicare rules). Physician work, measured in RVUs (relative value units) arbitrarily assigns numerical values to tasks that are commonly performed in medicine. Not all agree that these assigned values are fair and equitable. Ultimately we must decrease cost in healthcare. Obamacare was crafted in order to provide access to care for all Americans AND to lower costs. Unfortunately, Mr Gottlieb and I both agree that the pending healthcare reforms may actually increase costs in the long run. The initial result of the reform legislation has been the trend of hospital acquisition of practices–and the resulting decrease in productivity. So, it is not a great leap to assume that as more physicians become employees who punch a time clock the actual cost of care will increase substantially. We must continue to work together to provide better solutions for our healthcare dilemma. All players must be involved in crafting reform–physicians, politicians, hospitals, insurers, pharma and industry. We cannot focus on one group and not the others. The ultimate solution for healthcare delivery in the US will be the result of collaboration and regulation of all pieces of the healthcare puzzle. The practice of medicine is based on a solid fund of knowledge and a physician’s ability to quickly assimilate and organize information during a patient encounter. 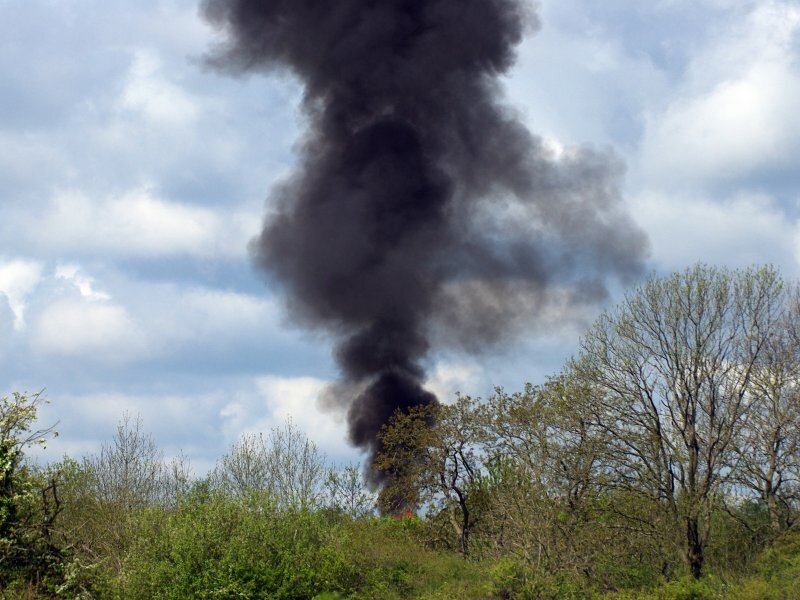 However, the process of making a diagnosis and formulating a treatment plan is not always straightforward. 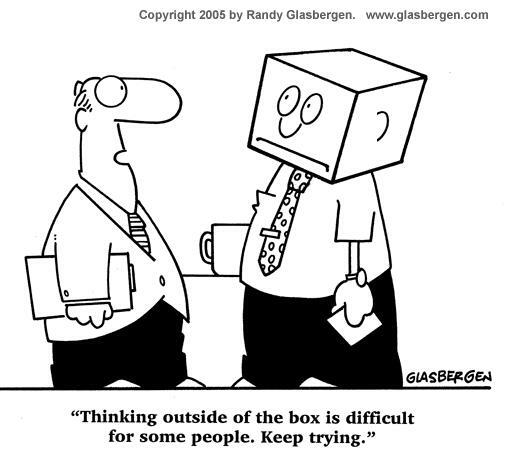 Often, what separates the truly exceptional physicians from the rest is the ability to attack problems from alternative angles–more simply put, creativity. Traditionally, medical education is centered around science. Creativity has little role in modern western medical schools–it is not taught or encouraged. Overwhelming amounts of fact must be committed to memory during medical school–leaving little time for creative experiences such as art, music, and drama. Recently in the journal Academic Medicine, Dr Niamh Kelly published an editorial addressing the concept of creativity in medicine. Inspired by Ted Robinson, a speaker at the TED conference, Dr Kelly champions the idea of promoting more creativity in medicine–not only in the clinical practice of medicine but in the delivery of care to the patients who need it. Promoting creativity in medical education and in the everyday practice of medicine may open up a whole host of new possibilities and, as Dr Kelly argues, allow healthcare providers to reach new levels of collaboration and productivity in the treatment patients and disease. Science is central to medicine, but promoting a culture of creativity may allow physicians to reach their full potential. Medical schools and medical professionals must actively promote creativity by utilizing conference times, rounds and other gatherings to discuss creative thinking and pursuits. In addition, medical education must foster experiences in the arts and music–group events for exploration. By exploring new things and having new experiences while learning medicine, the creative side of student’s brain remains stimulated and creative thinking is cultivated even in the midst of gross anatomy, physiology and pharmacology lectures. These creative experiences may very well produce physicians that are able to think and approach patient problems in new and unique ways. New approaches often result in new therapies and new solutions to tough problems. This week, in an essay in the New York Times, Dr Danielle Ofri further examines the issue of creativity in medicine. Her comments are quite sobering as she makes the point that medicine has now become more algorithmic and more standardized. Healthcare reform and prevention of medicare fraud has made this standardization even more regimented. Creativity has been given little room to flourish. As providers of healthcare, we must work to reclaim some of this “creative space” in order to provide the best possible care to our patients. Science and the thorough approach to patient care remains central to success–however, the complex social situations, personalities and individual characteristics of our patients make creative approaches to care essential. As healthcare delivery in the US continues to be redefined creative thinking and fresh ideas may make the difference in access to care and patient outcomes. As a profession, physicians must possess a sound fund of knowledge and be able to readily assimilate large amounts of data rather quickly. Our ability to perform under pressure is due to repetition during years of training. However, as medicine and healthcare systems become more complex we must be able to apply our knowledge in creative ways in order to provide the most effective care. Although traditional medical education has not relied heavily on creativity or creative thinking we must begin to consider changes in the way in which we train medical students and residents to think. We must foster creativity–through music, art, writing and drama. All of these experiences will serve to make us better equipped to serve the patients of the future. As I have stated many times in the past, women are undertreated and underserved when it comes to cardiovascular disease and stroke. Now, more than ever, this may even be more important due to several recent studies that have been published in the last few weeks. Several investigations have demonstrated two troublesome facts: In certain areas of the country, life expectancy for women is decreasing AND women who smoke are much more likely to have lung cancer than men who smoke. These facts argue for more aggressive treatment of women and more targeted gender specific prevention efforts–no longer can women’s risk for disease be discounted. Although awareness efforts are continuing, we continue to fall short in identifying and treating women with cardiovascular disease. In a study published last week in the journal Health Affairs, researchers compared mortality rates from 1992-96 with those from 2002-06 in 3,140 counties in the United States. In the study, female mortality rates increased in 42% of counties while rates in men only increased by 3.4%. Factors associated with lower mortality rates in women included higher education, location not in the south or west and non use of tobacco. These findings are incredibly troubling in that over the same time period, mortality rates in men have fallen in these same counties. In a related article published this year in the New England Journal of Medicine, it was found that smoking in women is associated with a higher risk for lung cancer, cardiovascular disease and death as compared to smoking in men. Among men, the risks of death from smoking have plateaued since the 1980s. In the 1980s women who smoked were 13 times more likely to die from lung cancer –in contrast, women are now found to be 26 times more likely to die as compared to those who do not smoke. However, there are data that show that smokers who quit by age 40 are able to reduce their risk for death significantly and in fact add 10 additional years to their life span. So, altogether, it seems that smoking for women is a significant public health issue. Women are smoking in greater numbers and those that began smoking in the 1960s are now seeing the long term effects–this cohort of women is truly the first group of long term female smokers that have been studied. The results are truly sobering. As healthcare providers we must do our best to prevent chronic disease. Certainly in this era of cost containment and the new Affordable Care Act, we must strive to modify risk. Smoking cessation is something that all providers, regardless of specialty, must work to encourage. In fact, I believe that individual cost and access to insurance coverage should be based on one’s smoking habits. Those who choose to smoke should pay significantly higher premiums as they will be using more resources down the line. Physicians will be held accountable for documenting smoking status and smoking cessation counselling–why then can’t patients and consumers of healthcare be held accountable for their own reckless behaviors (such as smoking). But, back to the issue at hand. Once again, we find that women are under treated and underserved. According to recent studies, women are less likely to be referred or counseled for smoking cessation. In addition, data from the NCBI indicates that women have more difficulty quitting. According to NCBI researchers, unique factors affecting a woman’s ability to successfully stop smoking include concerns over weight gain, mood variability and withdrawal symptoms associated with hormonal changes during the menstrual cycle. Ultimately, we must do a better job helping women with smoking cessation. Mortality statistics such as the those recently presented serve as a failing report card when it comes to prevention activities in women. We must identify female patients at risk and push for smoking cessation. Once again, we must empower women to take an active role in their healthcare and engage them in healthy lifestyle modification activities. 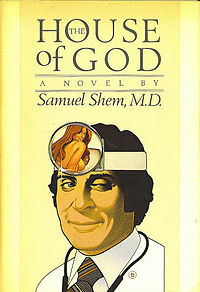 In the satirical novel The House of God, author Samuel Shem writes about experiences as a medical student at Harvard. In the novel, many famous quotations are used that have been passed on from generation after generation of medical students and residents. Some slang terminology is also referenced and characters are created to illustrate the qualities of certain types of students. One particular student that is found in every medical school class is the “Gunner”. The Gunner is a term used to describe a hyper competitive medical student who is motivated by performance and grades and will stop at nothing to succeed. Almost every medical school class in the US has a couple of students with this character trait. All of us who have trained in the past can still remember who these students were in our own classes. Sadly, a Gunner feels no remorse about climbing over others to achieve success on the medical wards when being evaluated by attending physicians. A Gunner never learns how to work well with others and, although performs remarkably well on exams and evaluations, is often left without essential skills for success in medical practice. Last week in the New York Times, Author Pauline Chen writes about the inability of the current medical education system to “fail” students with poor interpersonal skills and the inability to work with a team. Now, more than ever, teamwork in medicine is essential to success. In the article the story of a bright, young medical student is detailed. This young student is able to ace all of the written exams but isolates herself from classmates, treats nurses and colleagues with disrespect and is unable to accept constructive criticism. The attending physician supervising the student laments that he is unable to “fail” her due to the fact that there are no objective evaluations in the medical school grading system to deal with important attributes such as bedside manner, communication skills and interaction with nurses and colleagues. In my opinion, this story illustrates a major flaw in our medical education system. We have a responsibility to students as well as future patients to help create doctors who are not only brilliant diagnosticians and clinicians but are also compassionate, caring and able to easily work with others. No longer is medicine practiced by the Physician in isolation. Today, medicine is centered around a team approach. Nurses, physician extenders, social workers and physicians all work in concert to produce excellent patient outcomes. Healthcare reform has now mandated certain (sometimes arbitrary) quality measures and it is only through a comprehensive team approach that these can be achieved and (more importantly for the government) documented. Nothing productive has ever emerged from a negative confrontation with nurses or colleagues in a hospital. We must reward students who display the ability to work well with others and effectively communicate with staff. More importantly, we must teach students how to readily accept and respond to constructive criticism and continually self evaluate. Certainly, proficiency with test taking and knowledge acquisition is essential to creating a successful, effective physician. However, a physician who is able to work well with teams and communicate effectively with non physician support personnel is just as essential. We must develop a system put that actively strives to teach and evaluate these important interpersonal skills in medical school. Once students are advanced to internship and residency, these bad habits are much more difficult (if not impossible) to break. Competitiveness and striving for excellence are still important qualities in medical students. However, compassion and concern for others may be even more rewarding in the long run.